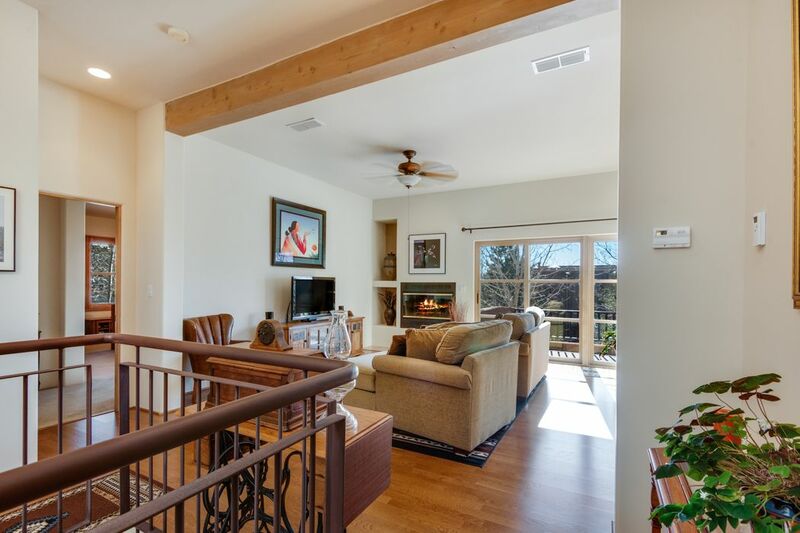 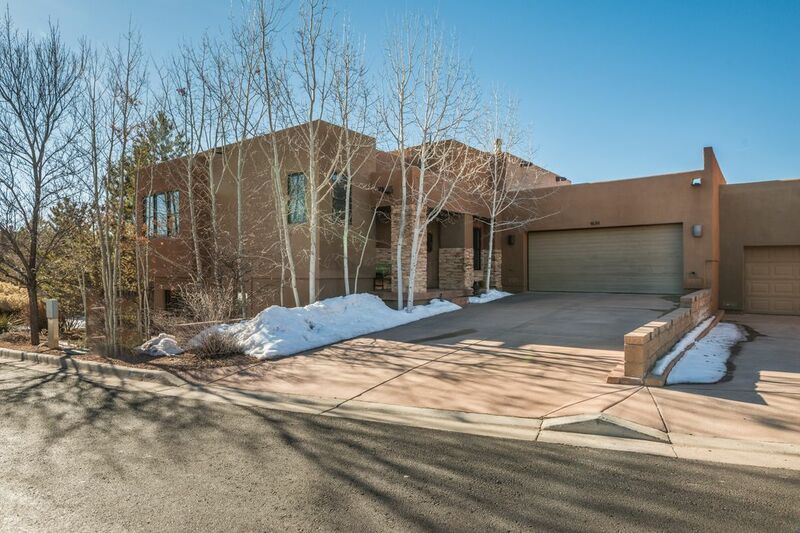 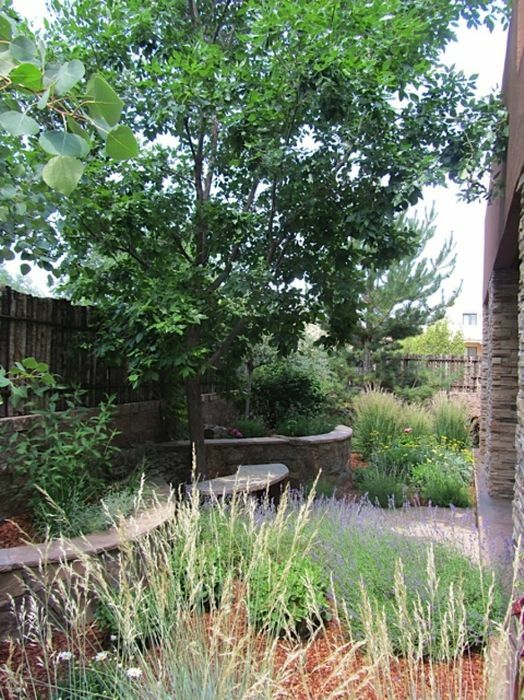 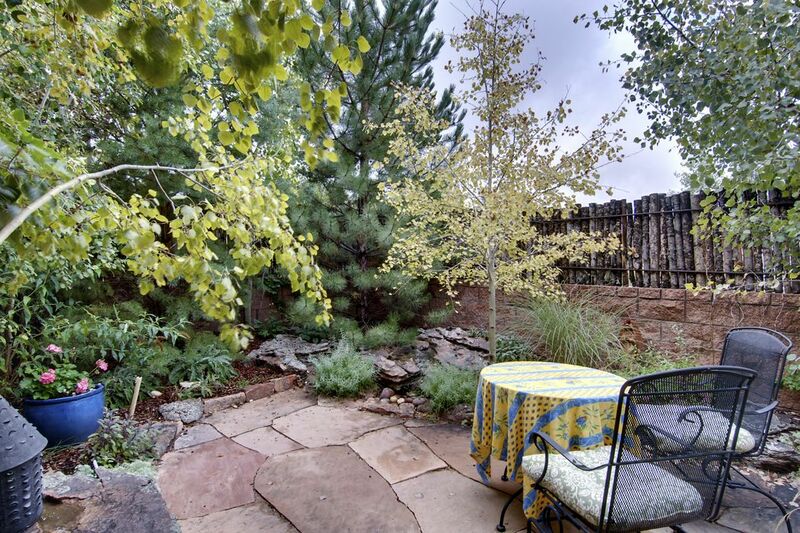 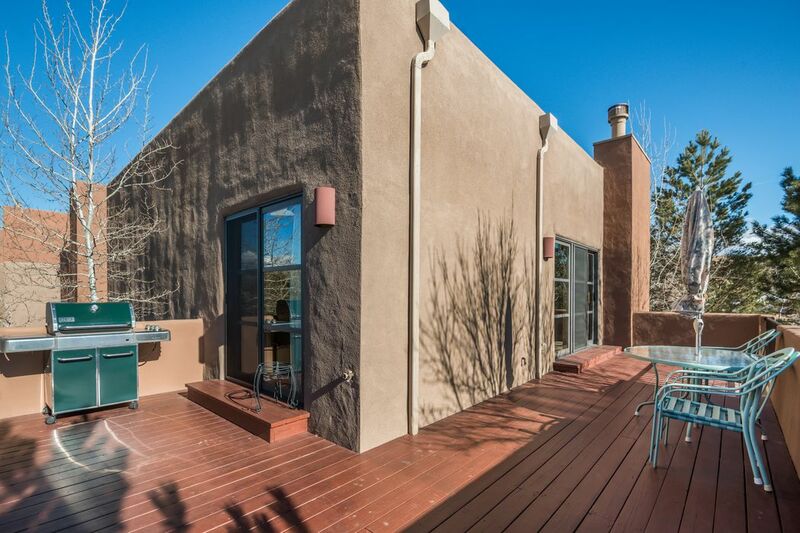 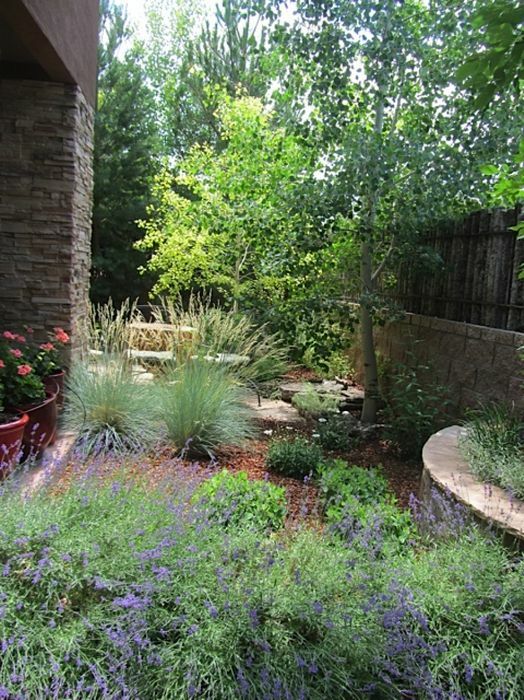 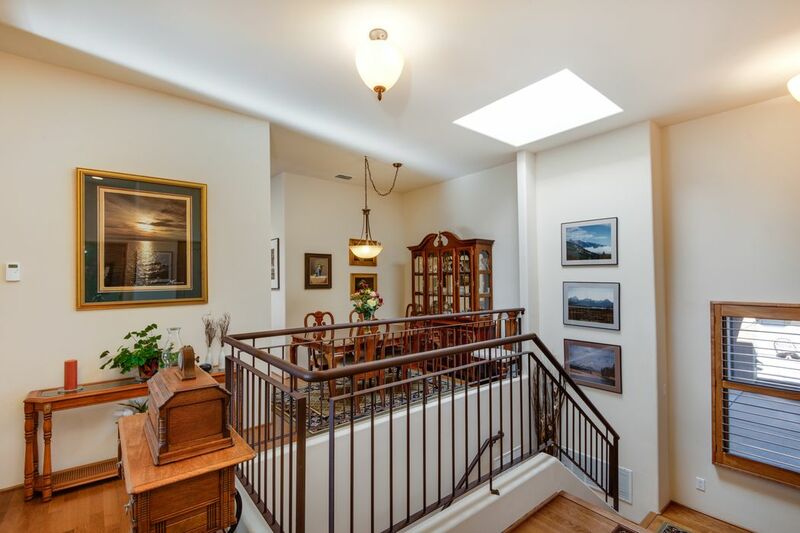 1630 Villa Strada, Santa Fe, NM 87506 | Sotheby's International Realty, Inc.
$625,000 3 Bedrooms3 Full / 1 Partial Baths2,534 sq. 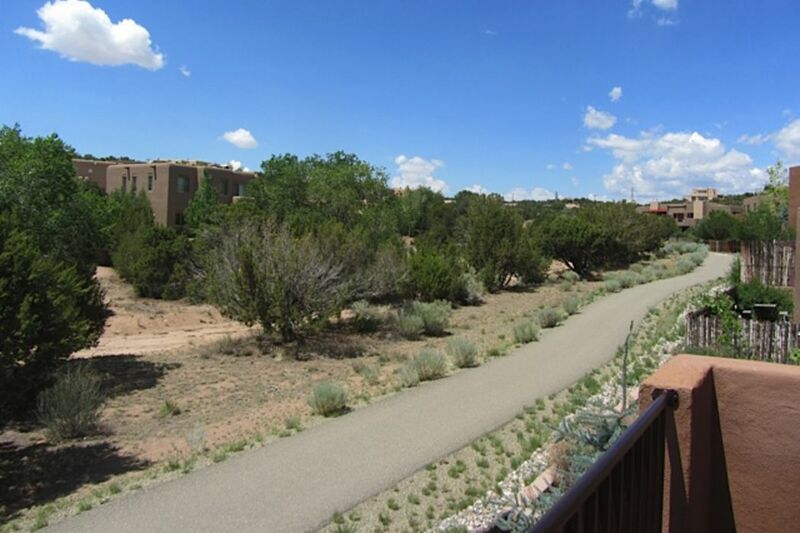 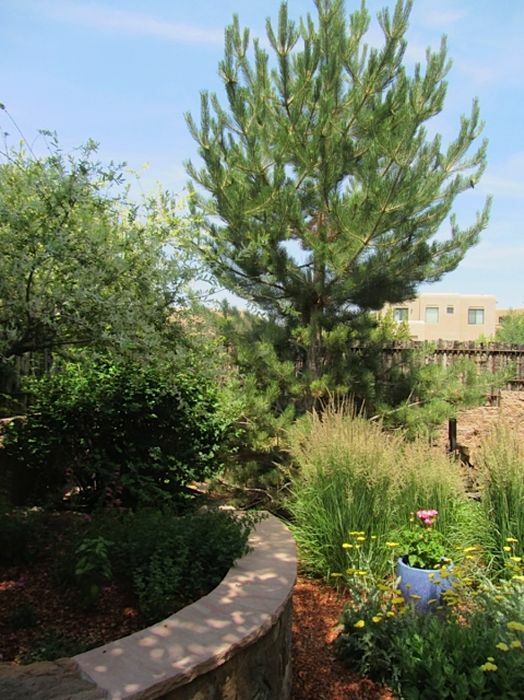 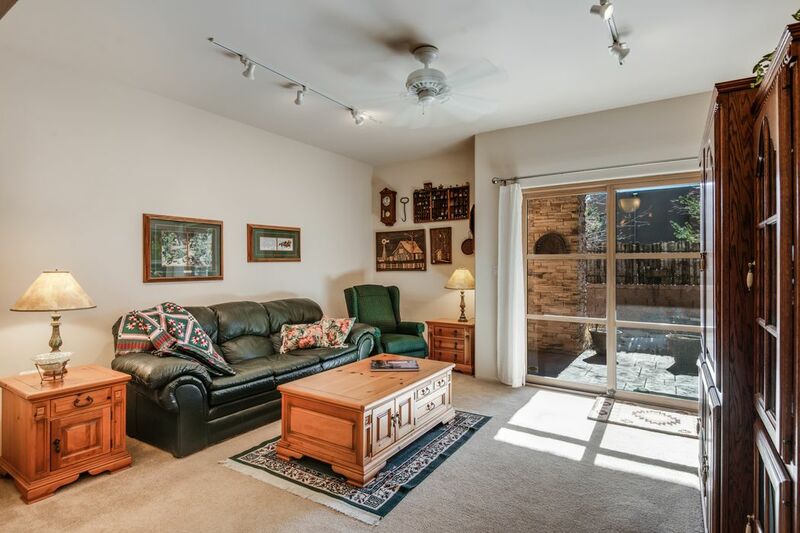 ft.
Beautiful and Incredibly well maintained + upgraded Townhome on Greenbelt in Las Estrellas! 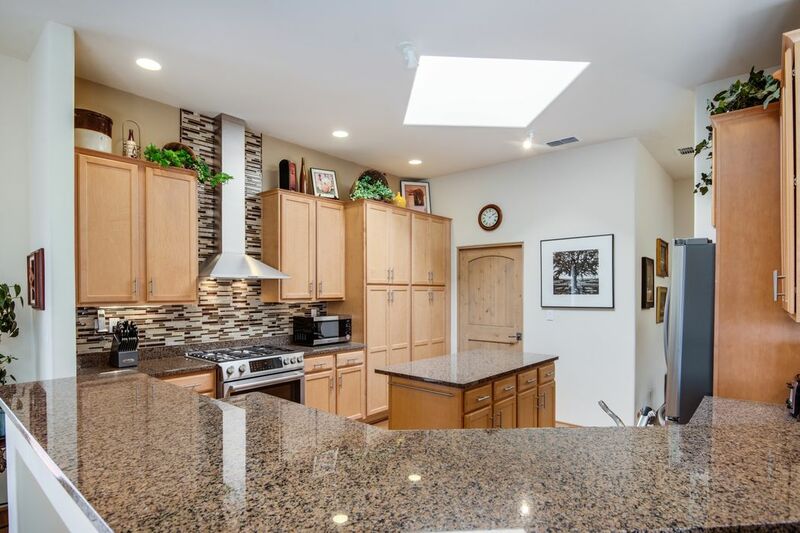 This Villa di Roma model with 2534 sq. 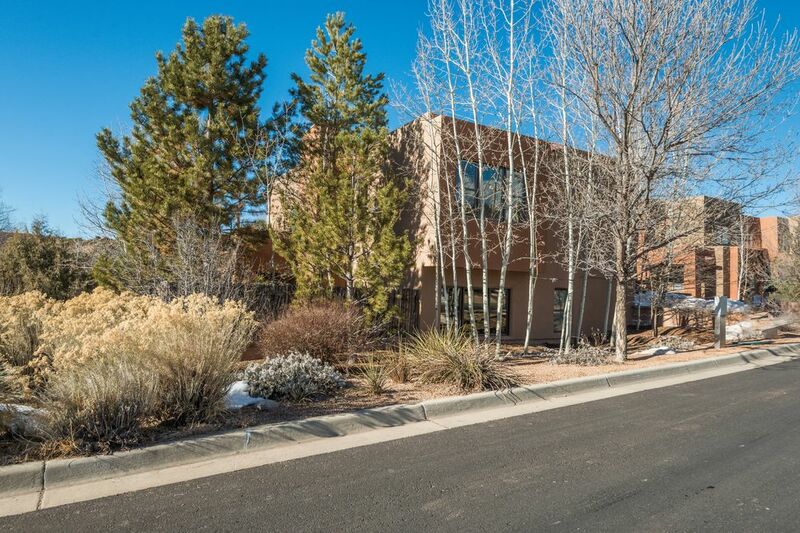 ft. shows like a model with a wonderful split floor plan, upstairs is the formal dining area, powder room, open living room with wood burning fireplace, informal dining area, outdoor deck for summer entertaining, inviting Kitchen with granite countertops, island, breakfast bar and new stainless steel appliances! 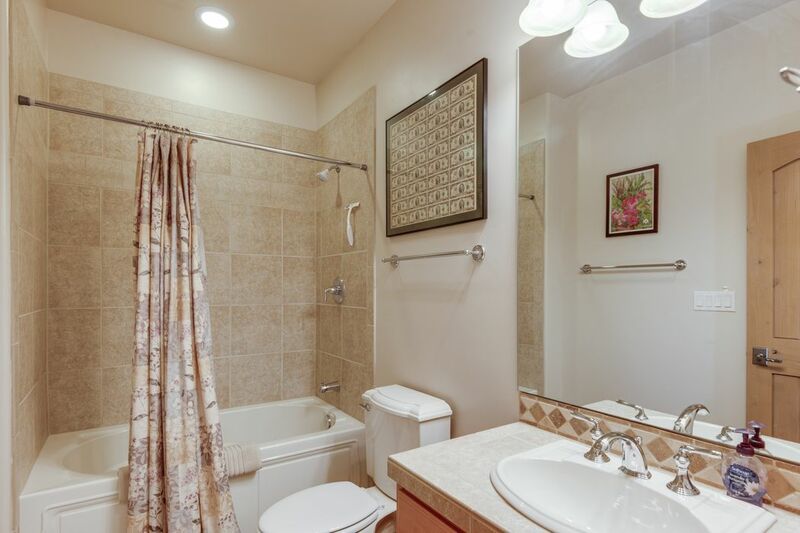 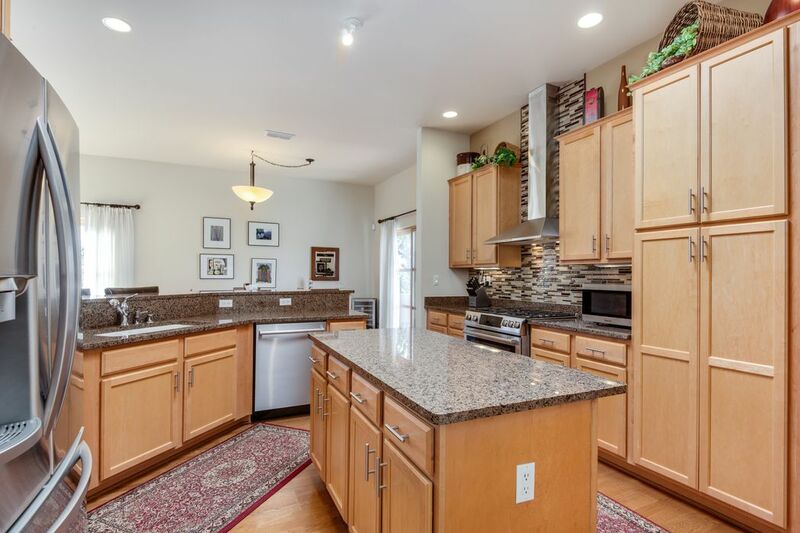 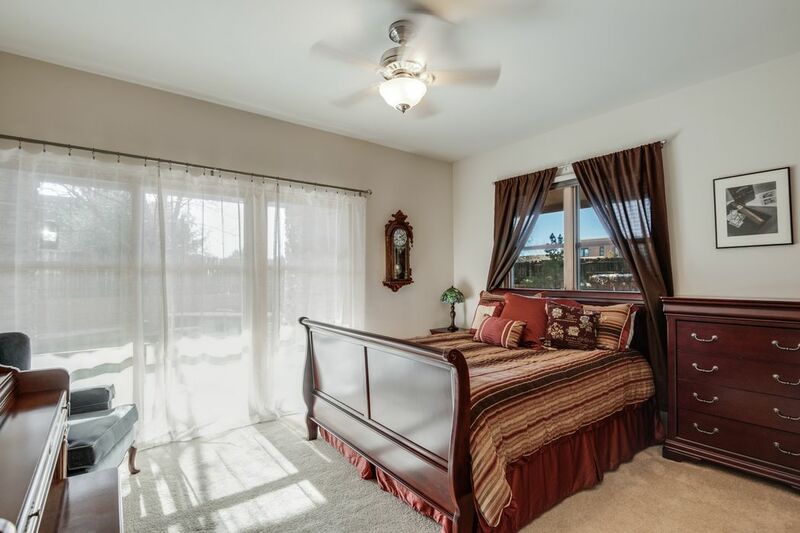 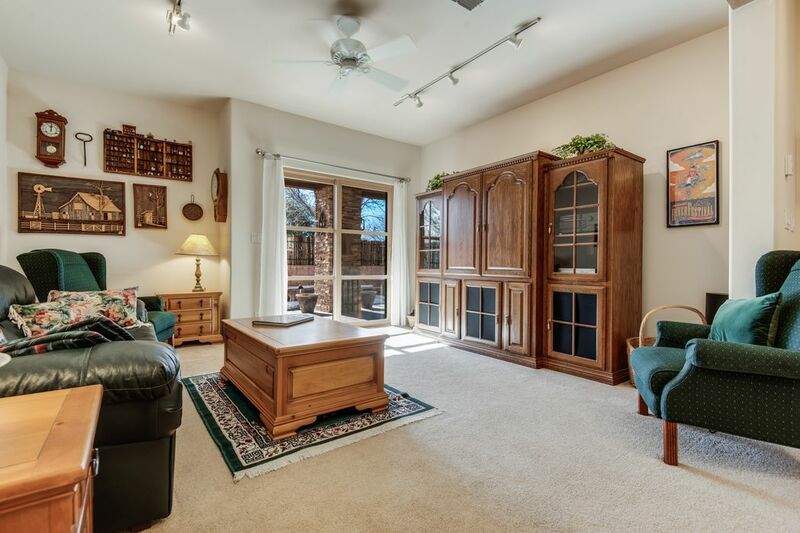 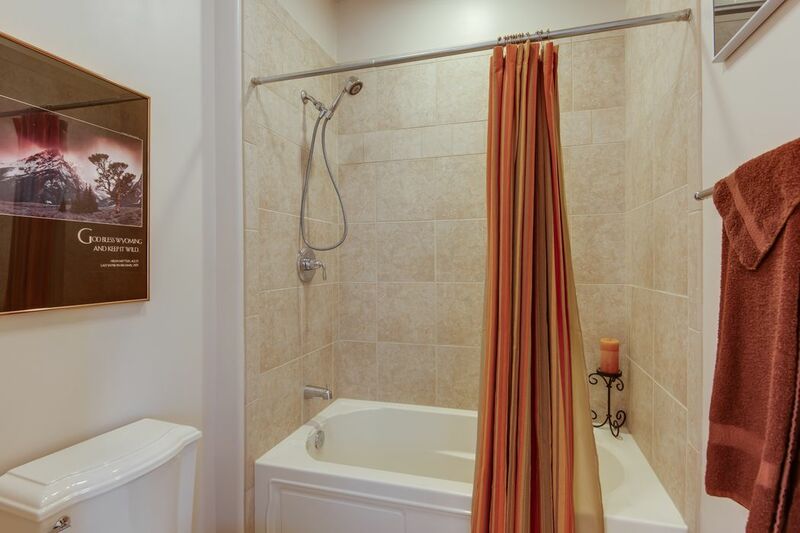 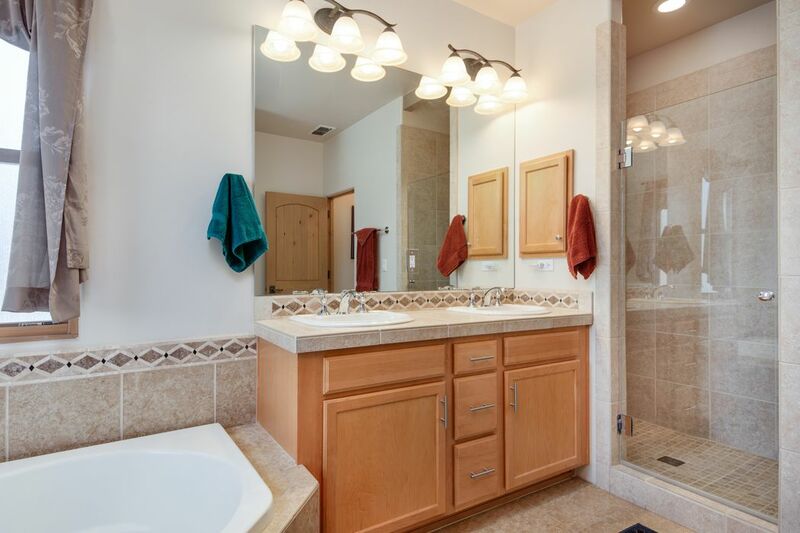 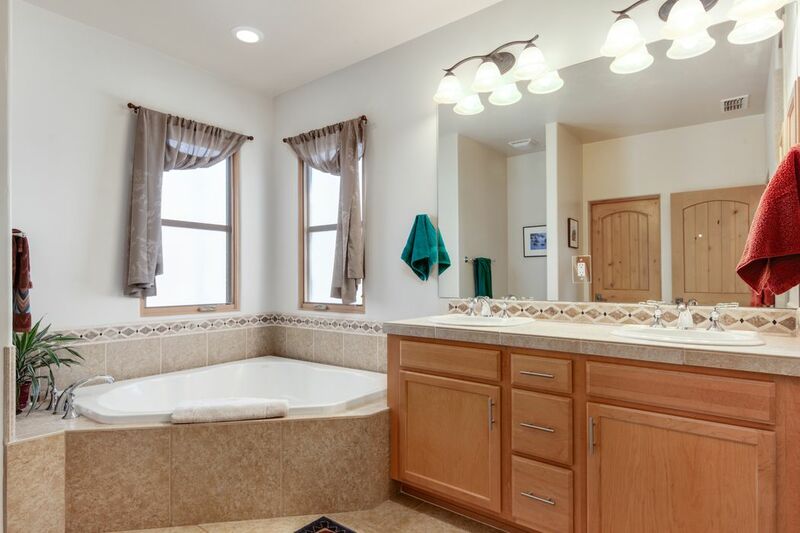 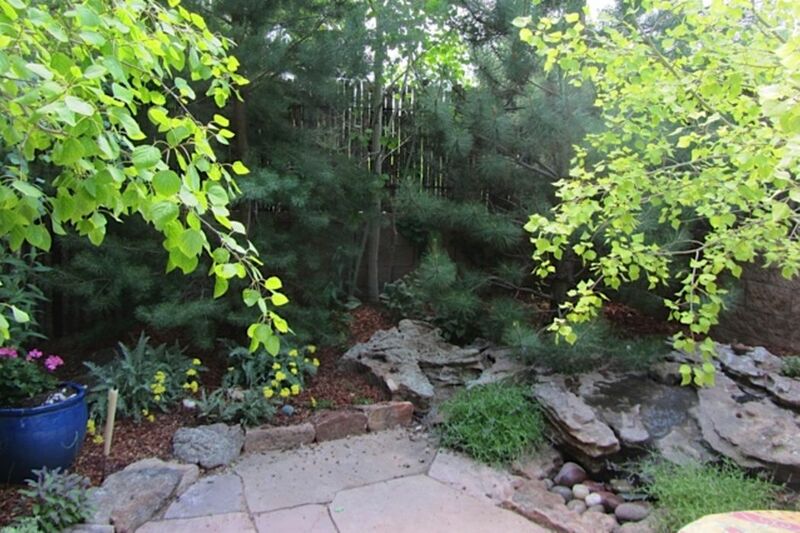 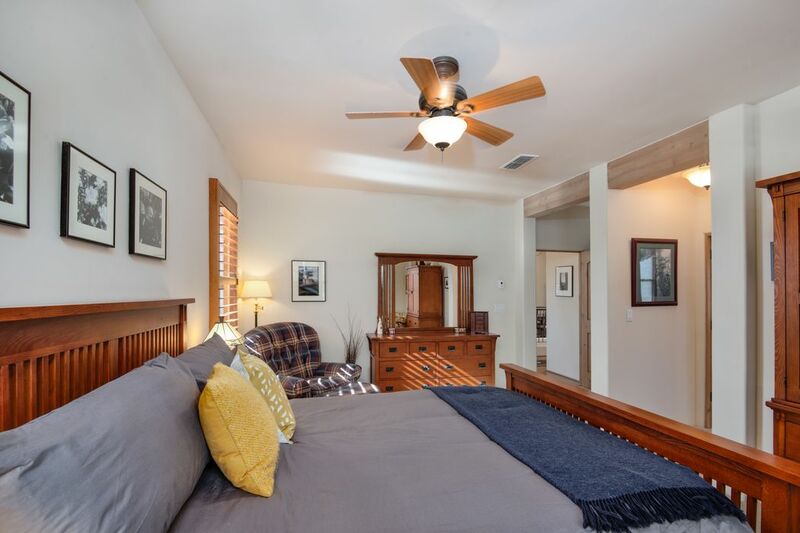 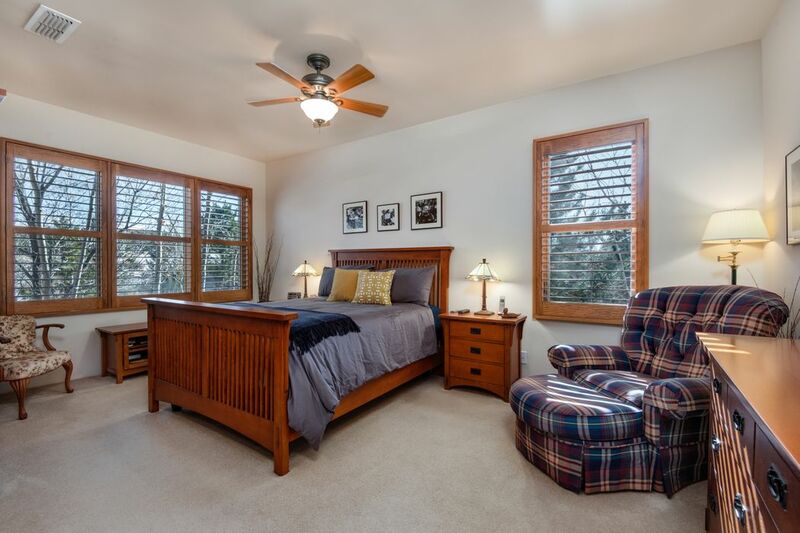 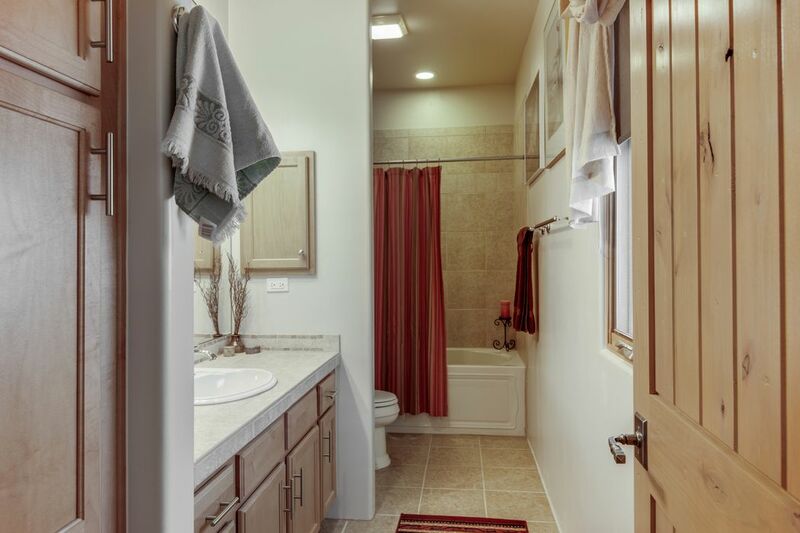 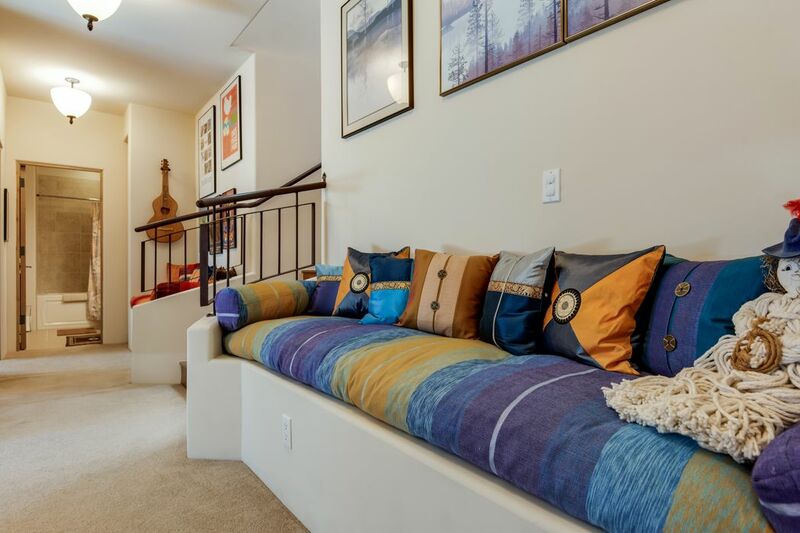 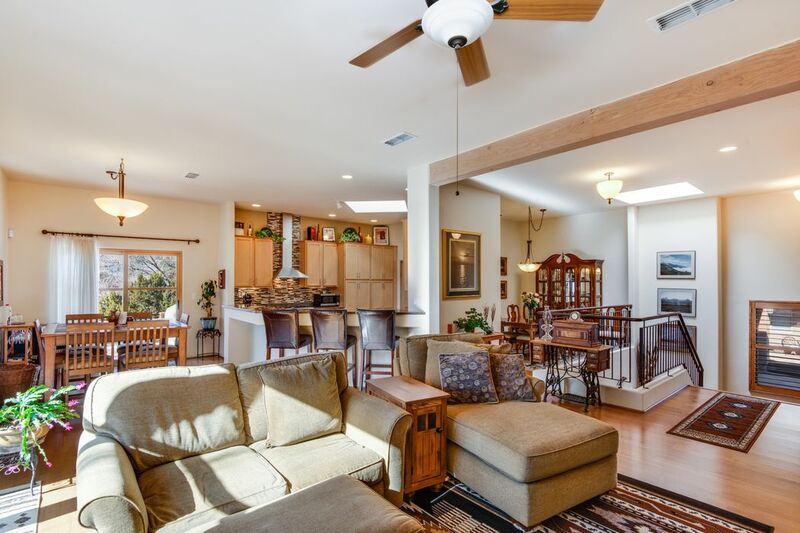 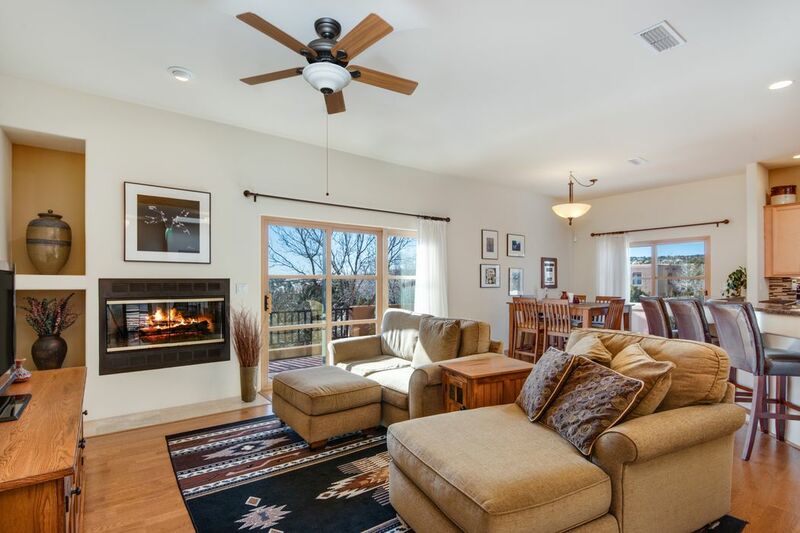 Spacious Master Suite & bath is conveniently located just off main living area. 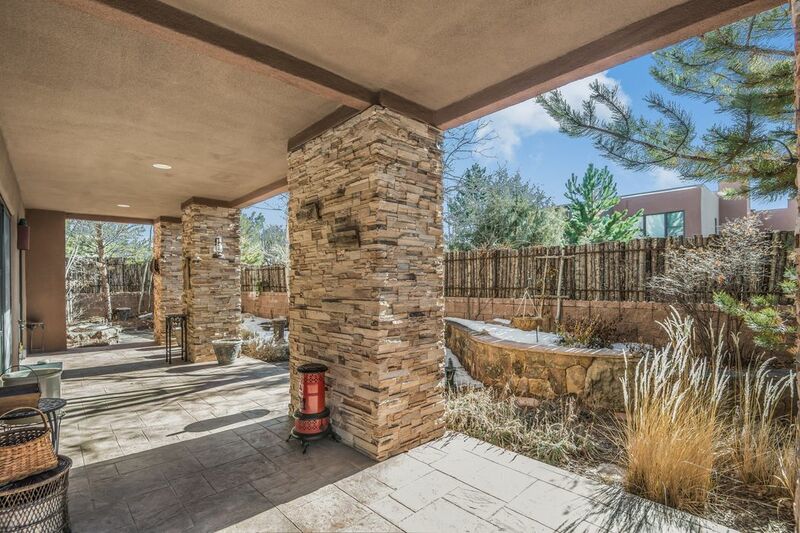 Downstairs are the en-suite guest bedrooms on either side of the marvelous Media room with outdoor access to Portal and enclosed zen garden area with plantings, trees + soothing water feature + gate to walking trail that takes you throughout Las Estrellas development! 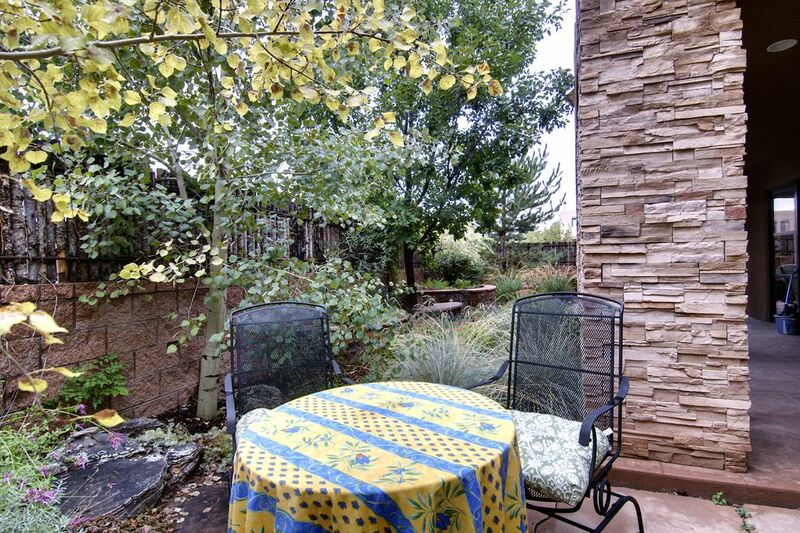 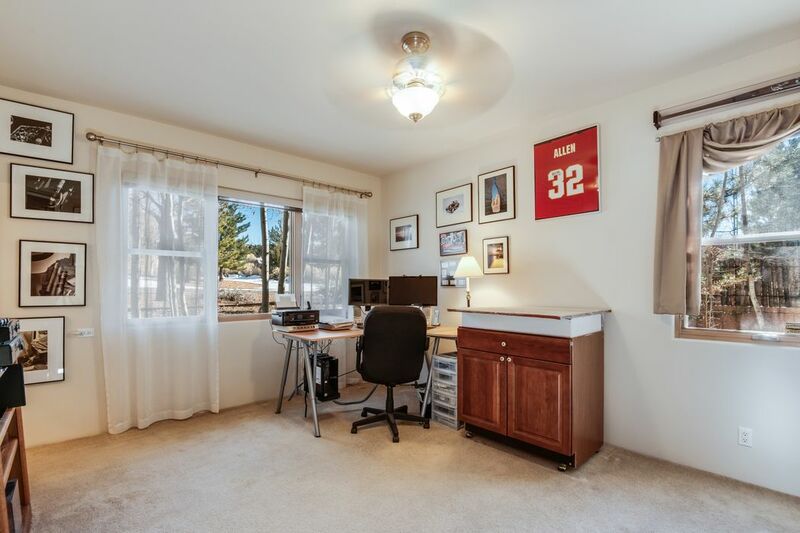 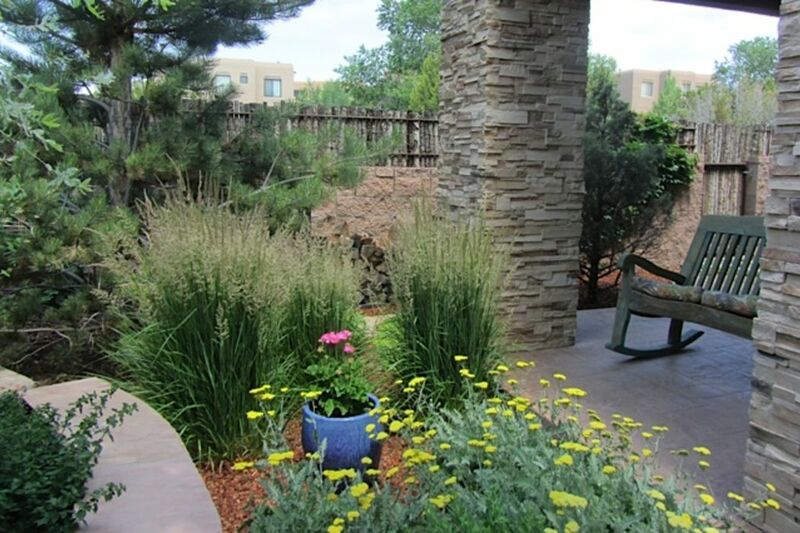 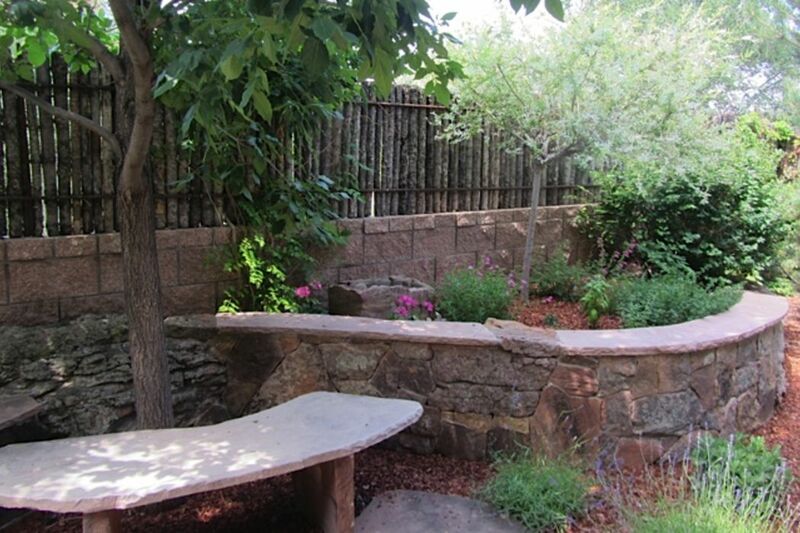 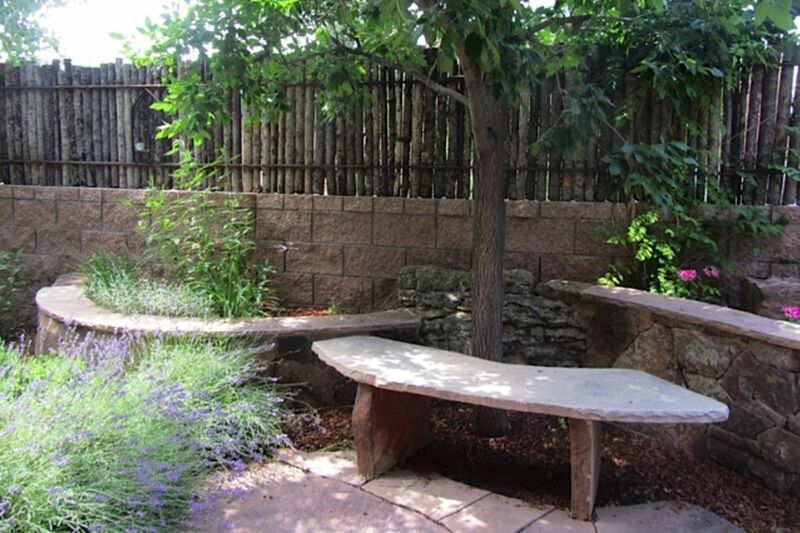 Conveniently located to 599 access to Albuquerque and Los Alamos!